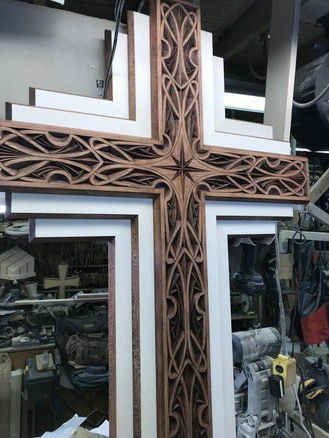 This is a piece that I just finished up for this years carving shows. It is 3’W. x 5’-6” H. and I’d made of 3 layers of 4/4 basswood. 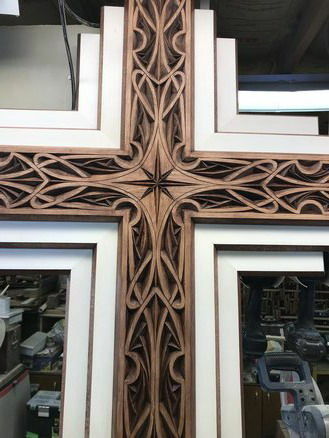 This is chip carving and is all done with a knife. Sorry but I don’t know how to rotate the pictures. That’s an amazing piece showing amazing talent and amazing patience. Work of art for sure. oh Roger!!! Extraordinary – as always!! Beautiful piece. Even if you don’t know how to rotate the pictures! Roger a fantastic looking carving. That’s really something amazing. True artisan. FYI, rotate picture by turning your hand 90 degrees before snapping photo (just a joke). Your carving continues to impress! Beautiful! 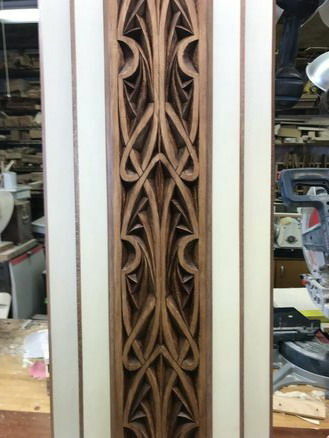 Beautifully carved. 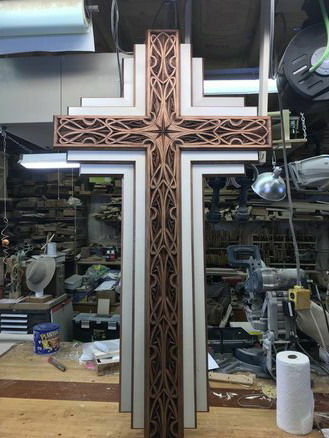 Tremendous craftsmanship and design. This work is done for the Glory of God! Thank you!